Kuwait, November 11, 2018: Breakfast is an important meal that has its own unique rituals for all of us. Acknowledging that every fine dining restaurant should provide each customer with a unique experience as the place to enjoy a meal and create unforgettable moments Symphony Style Hotel Kuwait, The Jewel of Kuwait City, is proud to introduce its new Chococafe new irresistible breakfast. 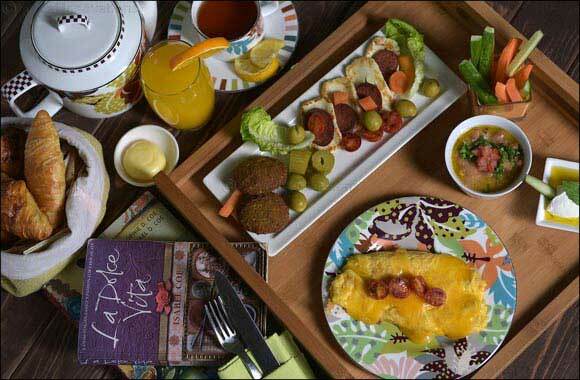 The new single Arabic breakfast tray offers premium morning delights including eggs, served your way, labneh, grilled halloumi, sausages, tea of coffee, orange juice, pickles, vegetable crudites, served with fresh bread basket and croissant, daily at Chococafe from 8:00 am- 11:30 am, for 7 KD per person. Chococafe is renowned for its vibrant chic atmosphere, prime location overlooking the Arabian Gulf in Salmiya, and rich menu of food and beverage options inspired by the love affair with great coffee, innovative mouth-watering ingredients and flavorful desserts. The addition of the breakfast tray makes Chococafe the ideal place for quiet conversations with friends, colleagues or business associates to start the day. Reward yourself and enjoy a relaxed morning, pass by the ultra-chic Chococaf� in Symphony Style Hotel Kuwait, a Radisson Collection hotel. Shisha is served outside in the garden daily.